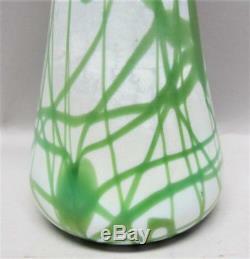 Antique Unique IMPERIAL ART NOUVEAU Glass Vase Green Hearts & Vine c. IMPERIAL ART NOUVEAU Glass Vase Green Hearts & Vine , circa 1920s. Our paintings and sculpture range from the 17th C. Inspection of our merchandise is available by appointment in our Roger's Park (Chicago) gallery. FREE PICK-UP IN THE CHICAGOLAND AREA. 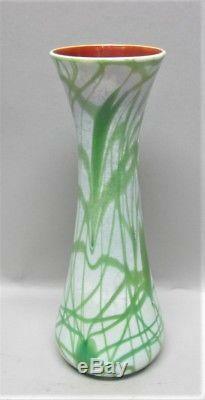 Up for your consideration is a very fine Imperial (American) Art Nouveau glass vase. 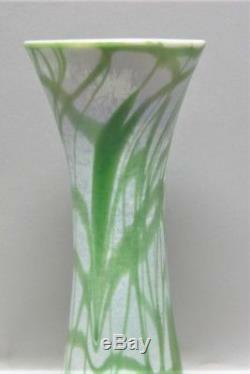 The vase features a green hearts & vine design on an iridized white calcite glass. 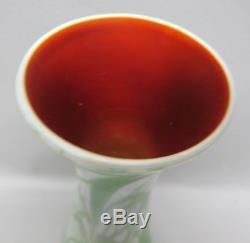 The vase measures 8.5" tall and 3" in diameter. 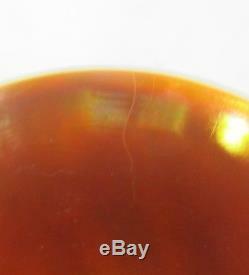 It is in excellent condition, free of chips, cracks, damage or loss. This quote is for the Continental U. These charges are the buyers responsibility. 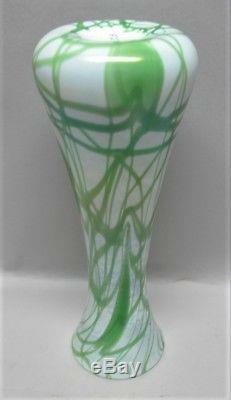 The item "Antique Unique IMPERIAL ART NOUVEAU Glass Vase Green Hearts & Vine c. 1920" is in sale since Monday, September 10, 2018. 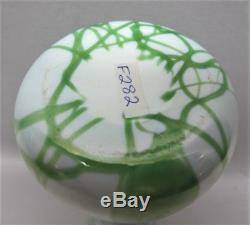 This item is in the category "Pottery & Glass\Glass\Art Glass\North American\Other North American Art Glass".